David Fereday from Ryton is one of just 15 people to have successfully completed every London Marathon, all 33 of them, since the race began in 1981. The 76-year-old chartered engineer, who directs his family engineering business, was recently diagnosed with bladder and prostate cancer but is still not prepared to surrender membership of what is called ‘The Ever-Present Club’ and is more determined than ever to finish this Sunday’s (13 April) Virgin London Marathon. 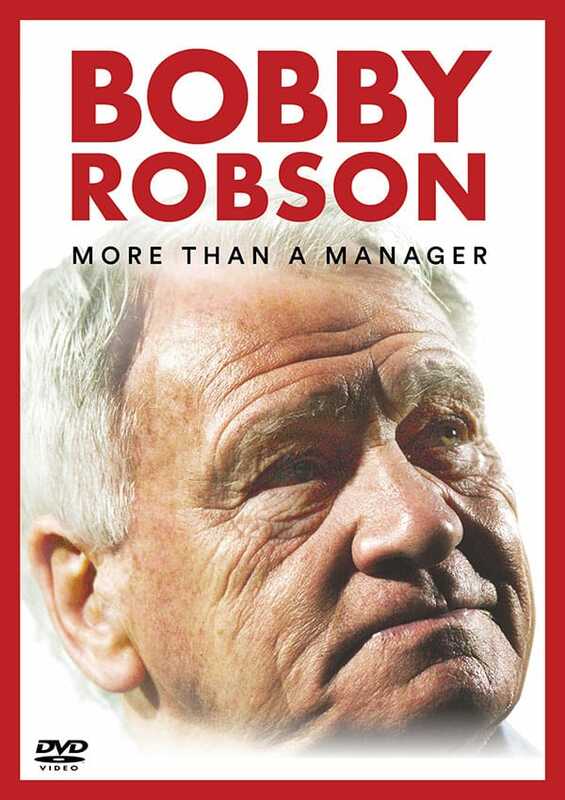 Despite an operation just five weeks ago, David is confident he will complete all 26 miles and 385 yards and, in doing so, is raising money for the Sir Bobby Robson Foundation. It is his way of saying thank you for the care he is receiving at the Northern Centre for Cancer Care at Newcastle’s Freeman Hospital. David says: “I’m feeling pretty good all things considered. I have another operation coming up but fortunately the marathon fell at the right time. “I’m lucky to be receiving treatment at the Freeman Hospital and the level of care gives me tremendous confidence in the NHS, which so often suffers from criticism. “The professionalism, hard work and happy demeanour of everyone I’ve encountered, from consultant to cleaning staff, is an inspiration to me. 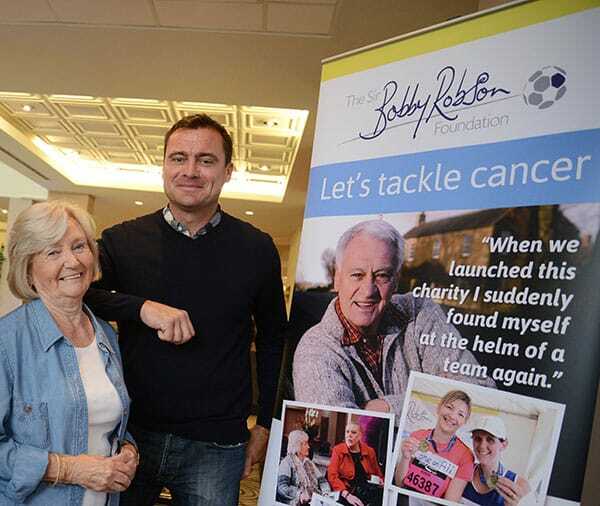 Sir Bobby and Lady Elsie launched the Sir Bobby Robson Foundation in 2008 to help find more effective ways to detect and treat cancer – including the clinical trials of new drugs. 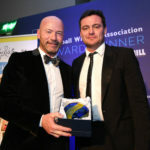 It has now raised over £7 million and the vast majority of that money comes to the charity in relatively small amounts through donations and community fundraising efforts. Pauline Buglass, from the Sir Bobby Robson Foundation, says: “David’s marathon achievements are simply incredible. David’s love affair with distance running began as a child watching, and re-watching, the 1948 Olympic Marathon at his local Odeon Cinema. David says: “I think I was born a runner. Since I toddled, I seemed to run, to the shops, through the woods, round and round the school playground, I never walked anywhere. “But after school I wasn’t pointed towards a running club and began playing football instead. It wasn’t until I was 41 that I began running again and now I’ve completed 55 marathons and two 85-mile ultra runs. “I’ve run all over the world. Barbados, Cape Town, Paris, Miami, Spain, it just became engrained in me. David is originally from North London, married to Alison and has three children. His quickest marathon time was 2 hours 44 minutes, 29 years ago, and this year he’s aiming for a time around 5 hours and 40 minutes.